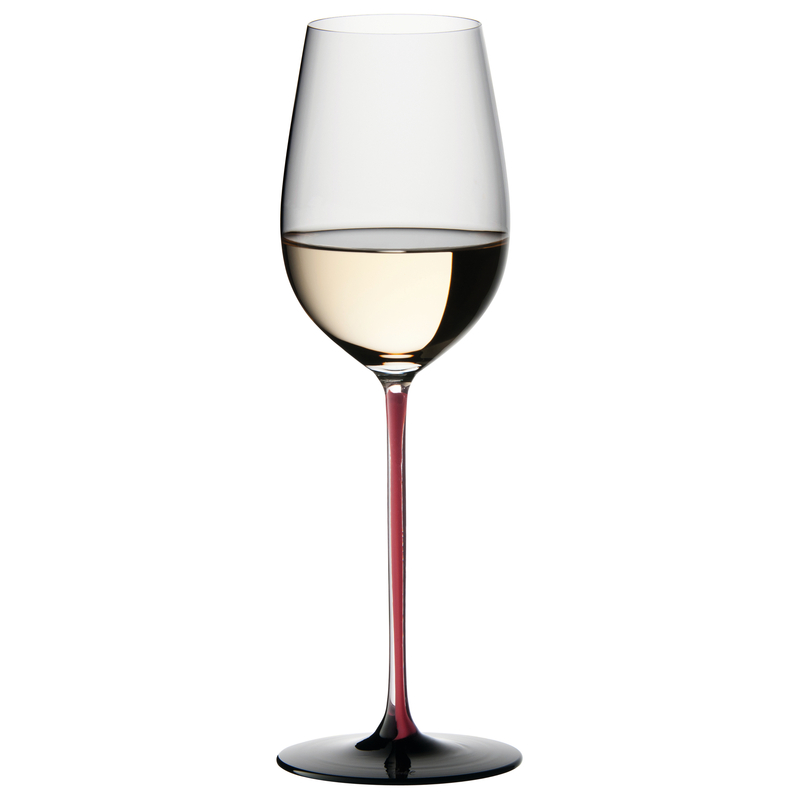 Sip in style with this Riedel Sommeliers R-Black Series glass. In 1958, the Grand Wine Collection was awarded the Grand Prix at the World Exhibition in Brussels for its creative and striking design. Today, the Sommeliers R-Black series is introduced to celebrate these iconic glasses with a design based on their timeless, original shapes. This glass has superior brilliance and clarity from the 24 percent lead crystal crafting. The bowl of the glass is mouth blown into a mold and the stem and base are hand crafted using methods developed thousands of years ago. For a modern flare, each varietal specific wine glass features a tall, red stem with black base. This beautiful Riesling Grand Cru glass is the perfect way to enjoy your favorite beverage, with its specially designed shape to enhance the flavor.